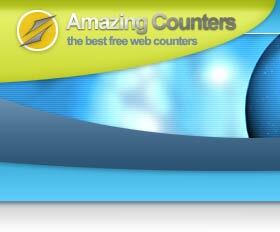 If you're looking for a free hit counter, we believe that Amazing Counters is probably your best choice. Others value us most for our speed and reliability. 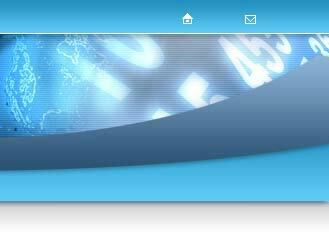 We have a super effecient architecture, highly tuned database, and run the service on powerful Intel dual core servers. This all is done to help assure that the service is as reliable as possible, and so that your counters will appear on your page quickly. Another reason people choose us is for our historical traffic stats. Although these statistics are not very detailed, having a basic chart of your hits over time can really help you guage how popular your site is and how fast it is growing in popularity. Most of the free counters out there do not provide any stats. People also pick us because of trust. They trust that if they sign up with us, we will protect their personal information and they will not get spam. Unlike some of the free counter services out there, we do not sell any statistics or customer data to anyone. We do not send any spam, and never have. By including sponsor links with each free counter, we don't need to resort to these tactics to cover our costs or earn a profit. Sign Up for a Free Hit Counter Now!